Everyone seems to be obsessed with mermaids and unicorns lately. While I'm not as hooked on the trend as others, I do love the colour palettes associated with the trend. The pastel greens, pinks and purples and heaps of iridescence, metallic shine and pearlescent finishes. 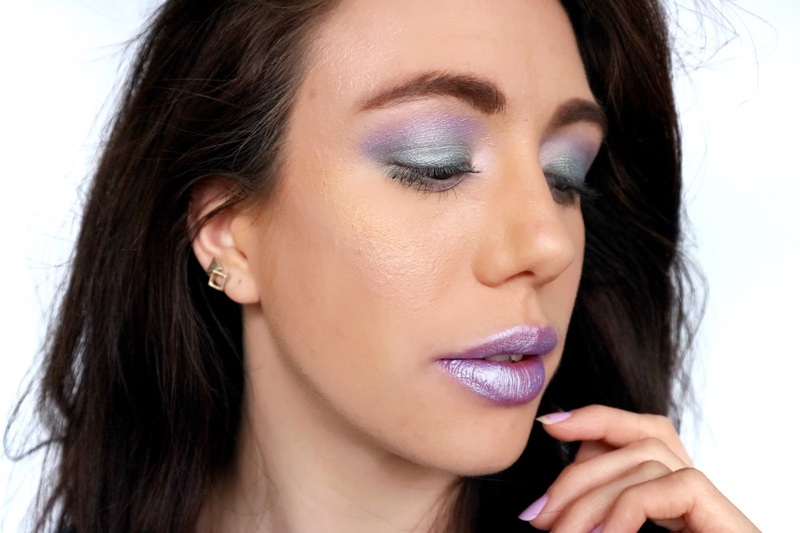 I want to keep pushing myself to try new looks so I grabbed a few pretty colours and experimented with a eye look inspired with mermaidesque vibes. I'm also keen to start using up some products that I barely touch so I'm a little less wasteful. I was just playing around with this look and it's the quickest one I've created so far, but despite it's rough edges I still think it's quite pretty. The eyes you could certainly tone down a little for the day time, but the lips a pretty wild and more suited to a festival type of scene! Pacifica Solar Palette // I've had this palette for a long time now and as you can see some of it is very well used and much loved and other parts are less so. I've always loved the look of the turquoise eyeshadow but never in a million years considered using it for a makeup look. 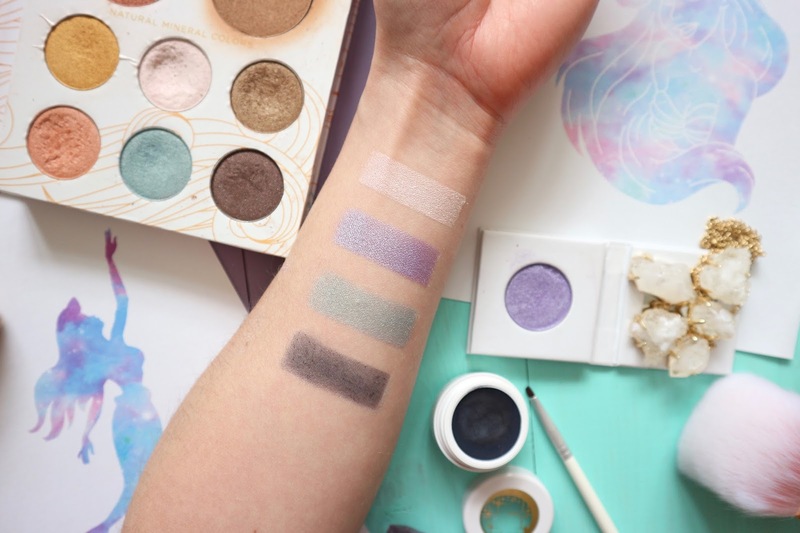 These shadows are very pigmented but you can keep them subtle with lots of blending. To ease myself into the vibrant turquoise shade which is appropriately named -Mermaid Aqua - I applied with a dry brush and blended well for a more sheer smokey colour. From this palette I also chose the shade - Glow - which is a pink champagne white, perfect for a bit of inner corner highlight. This shade has a pink tone to it which helps add extra depth and a smooth transition into the lilac. PHB Eyeshadow in Amethyst* // This eyeshadow has proved to be an absolute favourite due to it's fantastic formula, strong pigment and versatility. 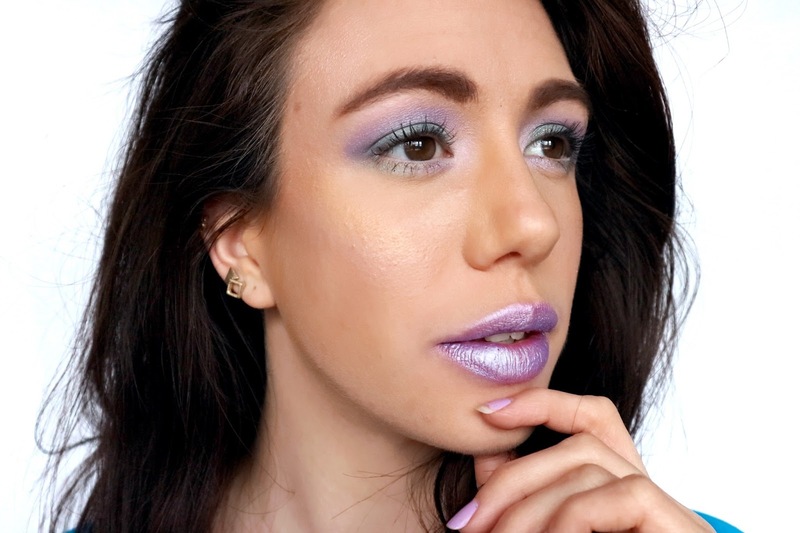 When I previously used this in a makeup look I blended it with a more aubergine, red undertoned purple to create a darker more moody purple, but for this look I wanted the blue undertones of this shadow to shine through and compliment the hints of blue in the Pacifica Mermaid Aqua shadow. I love this colour combo. And yes, I did pop this on my lips too. 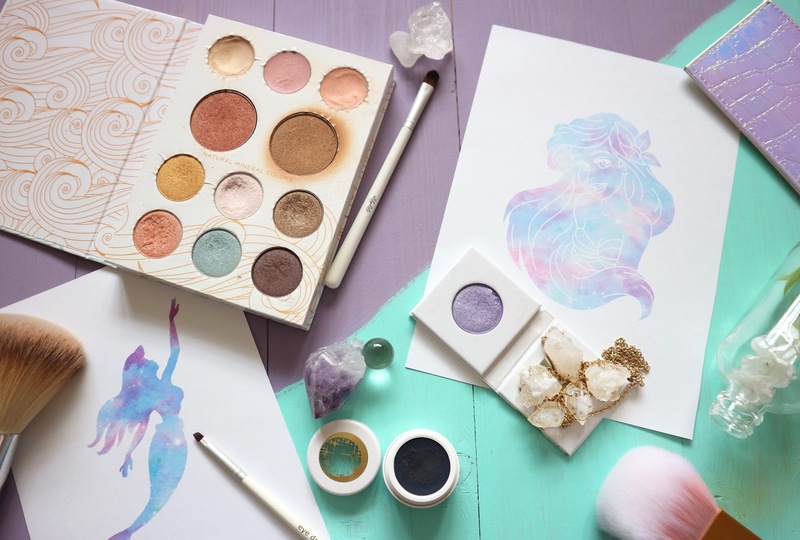 I wanted a mermaidesque iridescent colour that matched perfectly and what better way than to use the exact same colour that I used on my eyes. 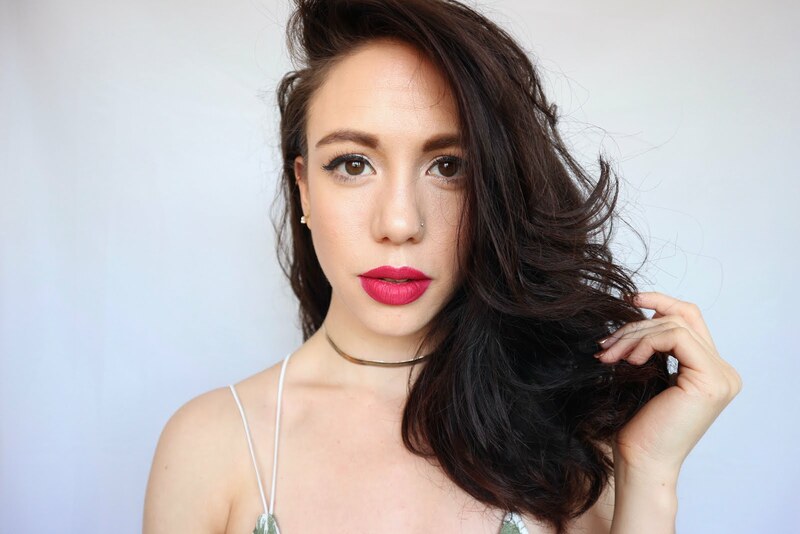 I've been experimenting with making different blends to create a perfect lip colour but for this I simply used my least glossy balm and mixed in the shadow into a paste and applied with a lipliner brush. It's not perfect but I liked the bold effect and the metallic, pearly sheen it created. Pacifica Smolder Eye Lining Gel in Midnight* // Not wanting to waste products I've been trying to find a use for this eyeliner. As a gel liner, it does not work for me in any way at all. Personally I just think it doesn't provide anything that I would expect it too. The formula is too creamy for a liner, I wouldn't class it as a gel at all. Also this is a lot more navy toned than I was expecting and i find the colour doesn't suit my skin tone on its own. However as much as a disaster it is as a liner for me, I have found it to be an awesome eyeshadow base or cream shadow. The creamy sheer consistency and colour payoff makes it really easy to blend and add subtle colour. I used this on the very outer wing of my eye to blend the lilac and turquoise into a smokier more blue transition. The addition of this isn't overly obvious but it ties the look together nicely, without it this eye look looks quite different.